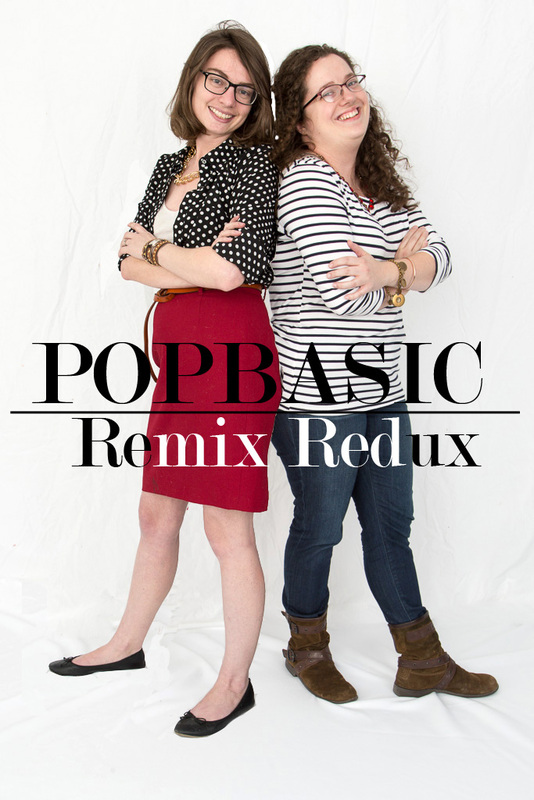 Because with pretty clothes and silly women one photo shoot is never enough-its the Popbasic Remix REDUX! See the ORIGINAL Popbasic Remix here! There is really just something about how polka dots and stripes just seem to fit together. Almost like how a color combo or red, white and black go together. Perfect on their own and perfect together. On the bright side, it looks like a few items will be making their own appearances in either some sort of permeant line or in up-coming boxes. So keep those eyes peeled. P.S. Not a sponsored post. We just like the company. those are both cute outfits! What a fun post! And I love the stripes and polka dots. this is SUCH fun post! 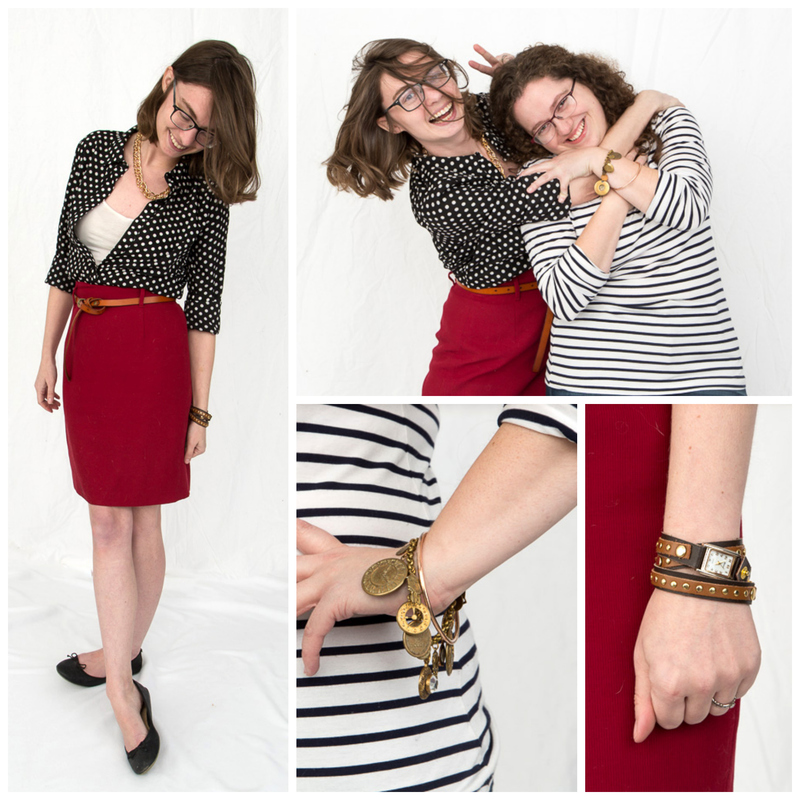 you and your best friend seem to have so much fun together, love all the emotions expressed through these pics.and i like your outfit, a great biz casual look that could work on so many occasions (and i've been known to wear very similarly to work). Ah, I want to see more of your work outfits I think, Dus. 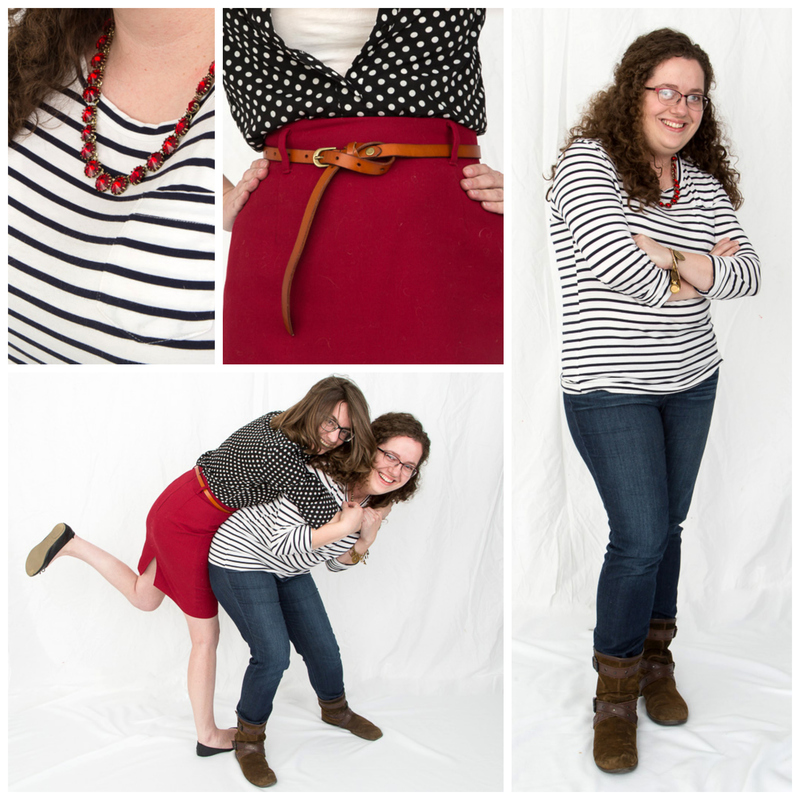 One outfit is casual and the other is elegant, but both are super fun. <3 I love the mix of prints! These pictures are so cute, I can't take it! You two are adorable together and I love how much fun you guys had with these shoots. Polka dots and stripes? Always a win. This looks like such a fun photo shoot! 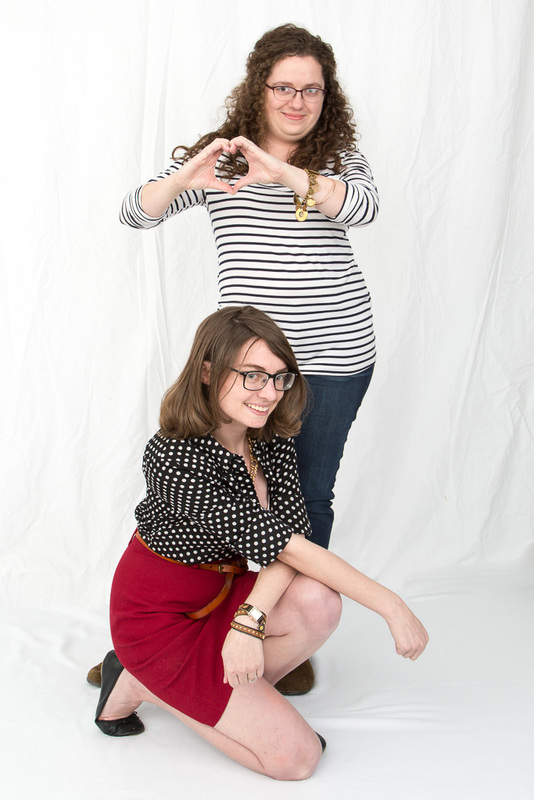 Ya'll are adorable :) Love that polka dot top! These photos are so fun and you guys look so great! these photoshoots are seriously adorable, you can just see the friendship burst through the pictures :D And I love the outfits! Even though they're made out of basics, they still really pop! The company does a good job of basics that pop, for sure! Thanks for the kind words, Marlen! All your comments today made my morning so happy! These are soooo cute! You guys make me smile down to my toes. In January, Why Don't You....?